A window full of mountains awaits you here! 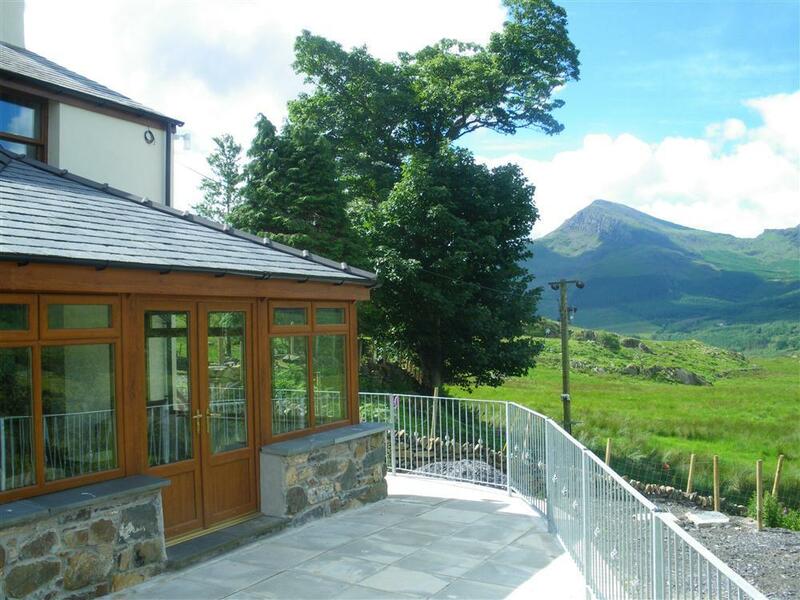 This Snowdonia farm cottage is prepared to exacting standards in a quiet location above the valley, with panoramic views of the countryside and the trains of the Welsh Highland Railway puffing its way to Snowdon. 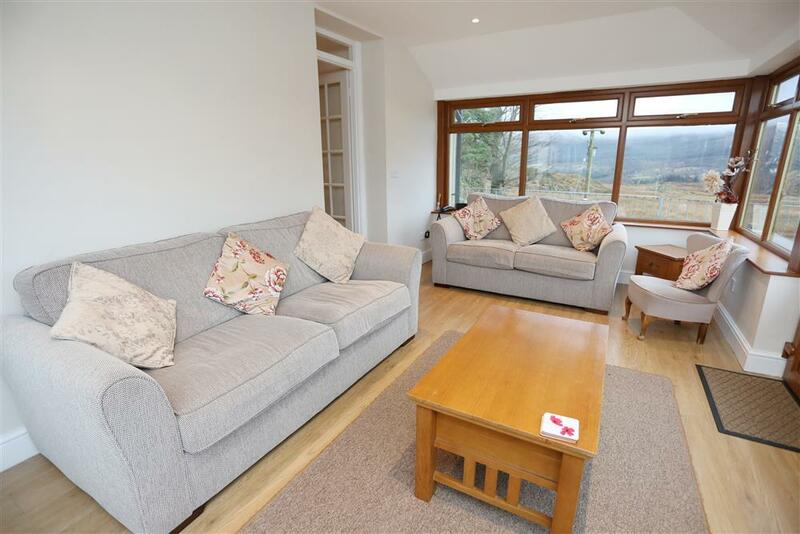 Situated up a well maintained farm track you are ensured a relaxing holiday between the villages of Beddgelert (2.4 mls) and Rhyd Ddu (1.7 mls). 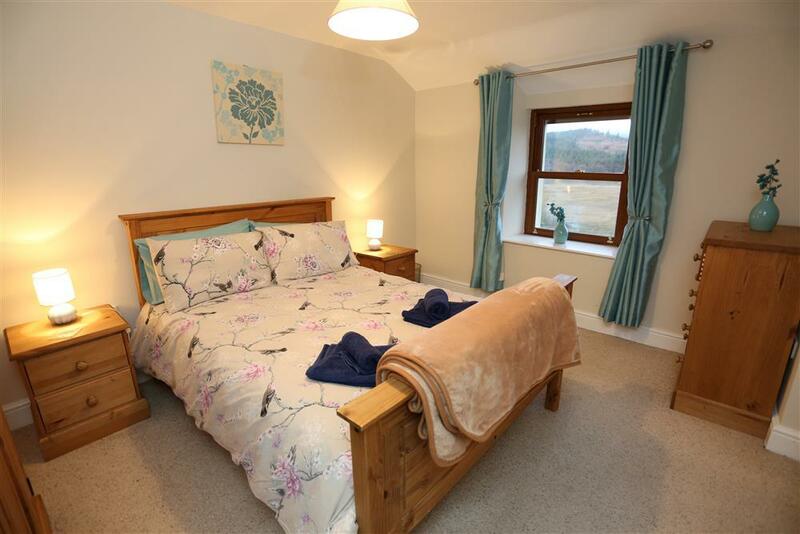 The rooms are all very comfortable and cosy but the conservatory is the place everyone will want to be in, with it's cosy seating and picture windows with amazing views across the valley. One of the best footpaths up Snowdon is 1.5 mls from the doorstep. Excellent food at the inn in Rhyd Ddu and a choice of places to eat in Beddgelert. Nearby beaches including Black Rock Sands near Porthmadog (12 mls). 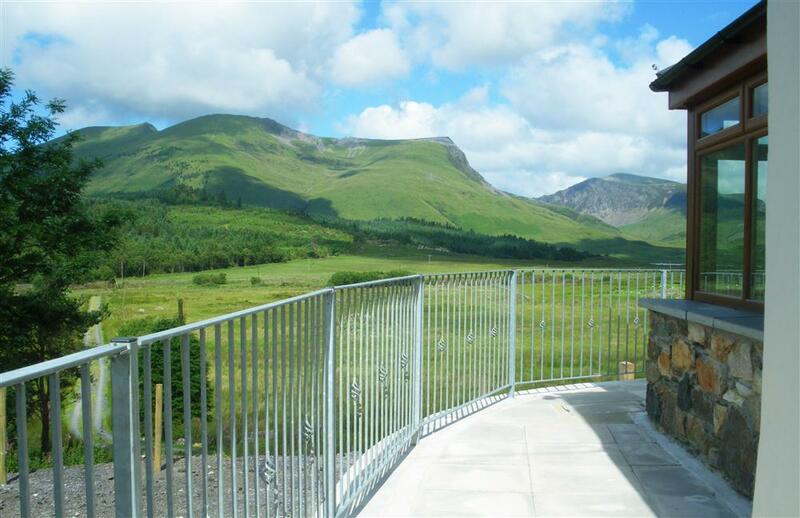 Local 'must-do' attractions include, of course, the Welsh Highland Railway steam train rides between Caernarfon and Porthmadog - with a little station at Rhyd Ddu - Caernarfon castle, Beacon Climbing Centre and Sygun Copper Mines. 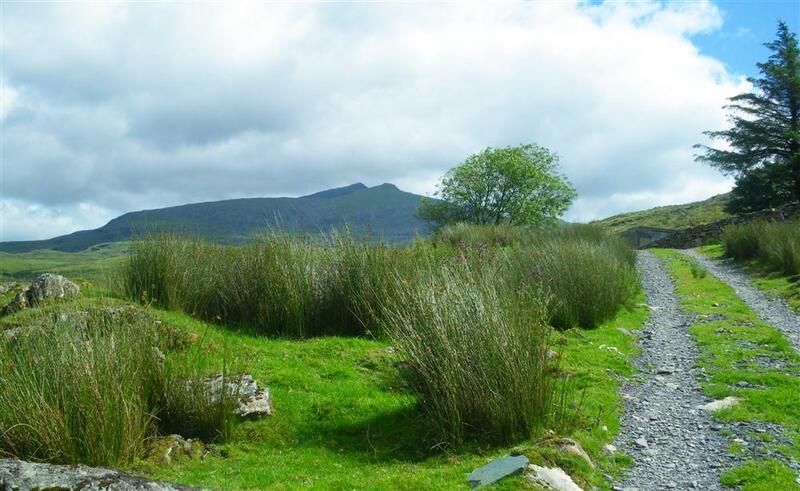 Favourite walks include Fisherman's Walk along the river at Beddgelert and the Nantlle Ridge challenge is nearby - highly recommended! 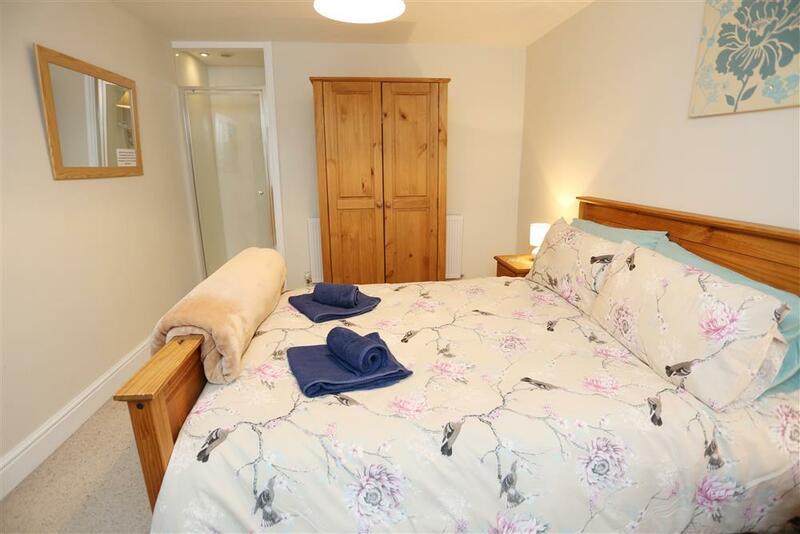 3 BEDROOMS: 1 Double bedroom with en-suite shower cubicle, 1 Double bedroom and 1 Twin bedroom. Bed linen & towels provided. COT: Can be provided. 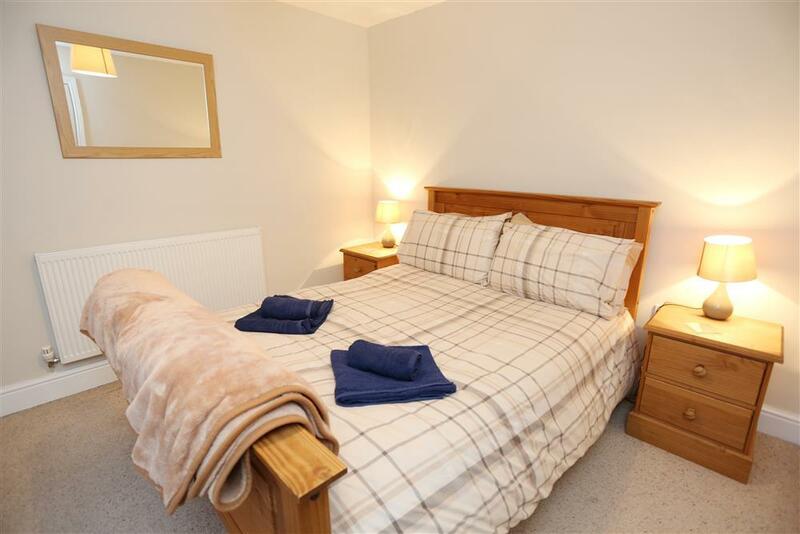 If required, please call the owner to double check the spec and bedding provided in advance of your stay. 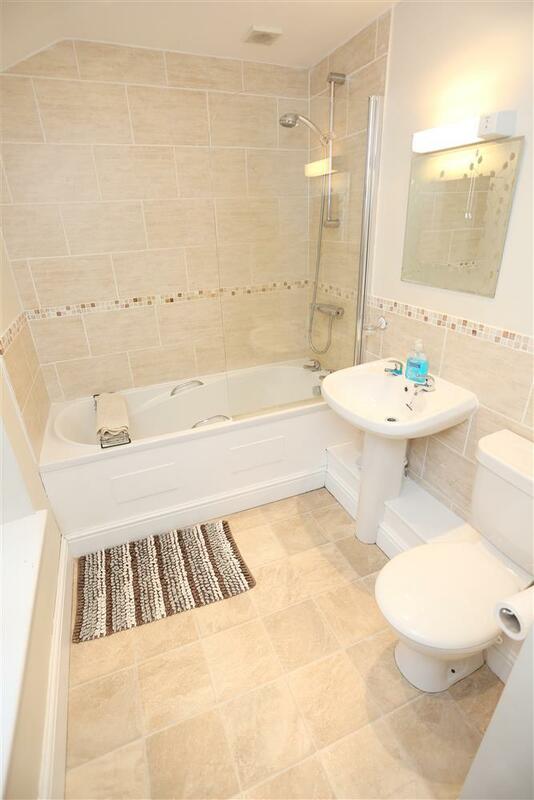 BATHROOM/WC: Modern suite with WC, hand wash basin and shower over the bath. SHOWER ROOM/WC: Downstairs wet room with WC and hand wash basin. 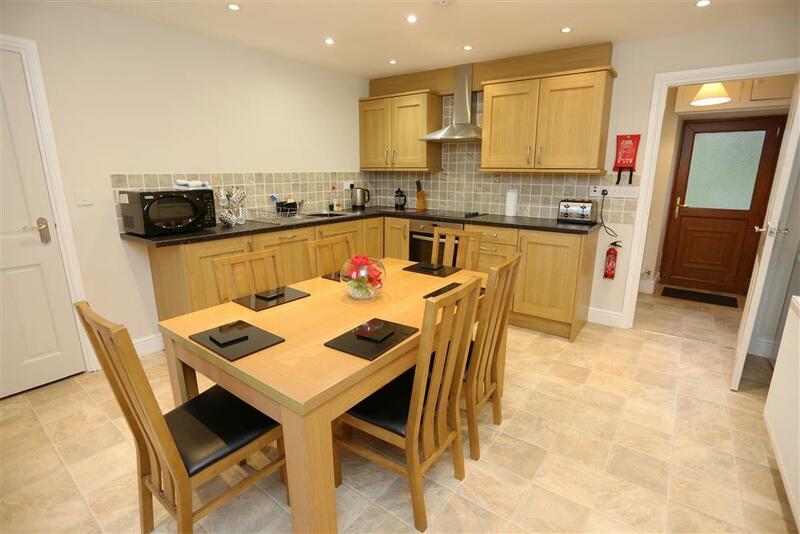 KITCHEN/BREAKFAST ROOM: Fully fitted modern units with electric hob and oven, microwave, fridge/freezer, dishwasher. UTILITY ROOM with automatic washing machine and tumble dryer. 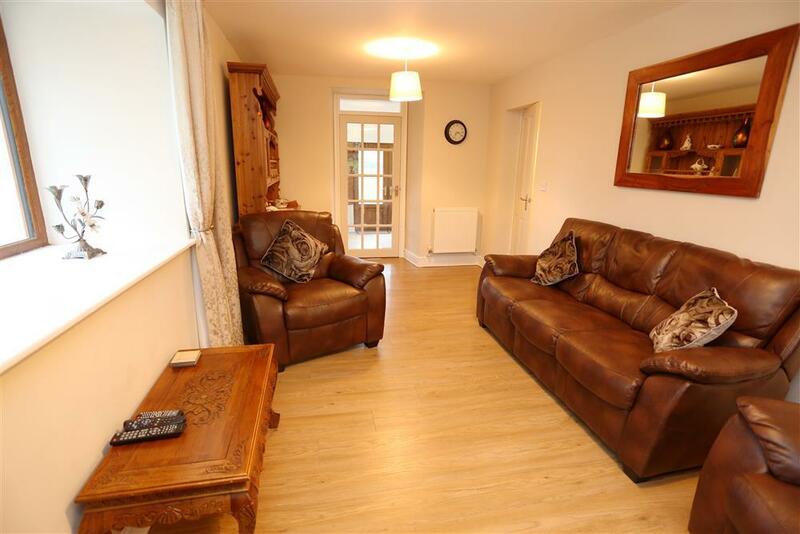 LOUNGE with countryside views, Freeview TV and DVD. 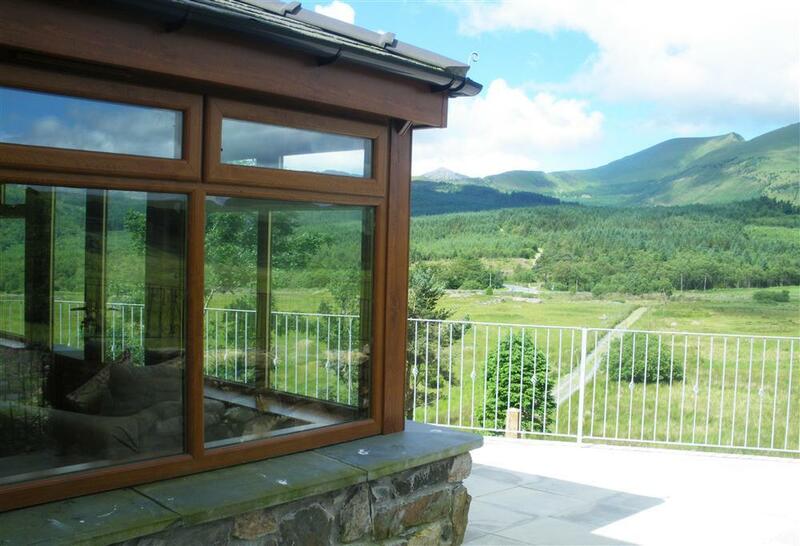 CONSERVATORY: Panoramic views of the valley at the foot of Snowdon and Welsh Highland Railway steam train. GARDEN: Enclosed ground with patio to front ample parking. HEATING: Timed central heating through out. 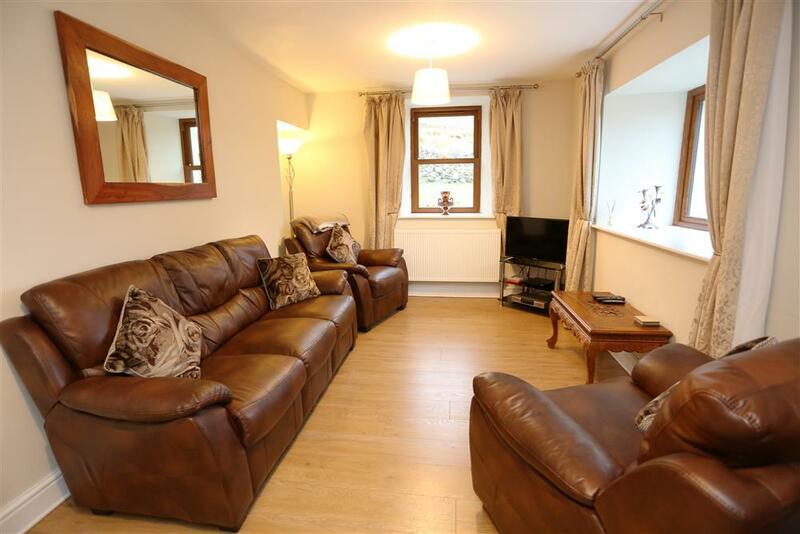 EXTRAS: Timed central heating and electricity included. EXTRAS: Cot and high chair available. - EE and 3 mobile phone networks usually work fine at the cottage, however Vodafone does not. - Who lives next door? No-one. You are completely on your own. Mrs M: "Fantastic location. Friendly and helpful owners. Farm cottage warm and clean." 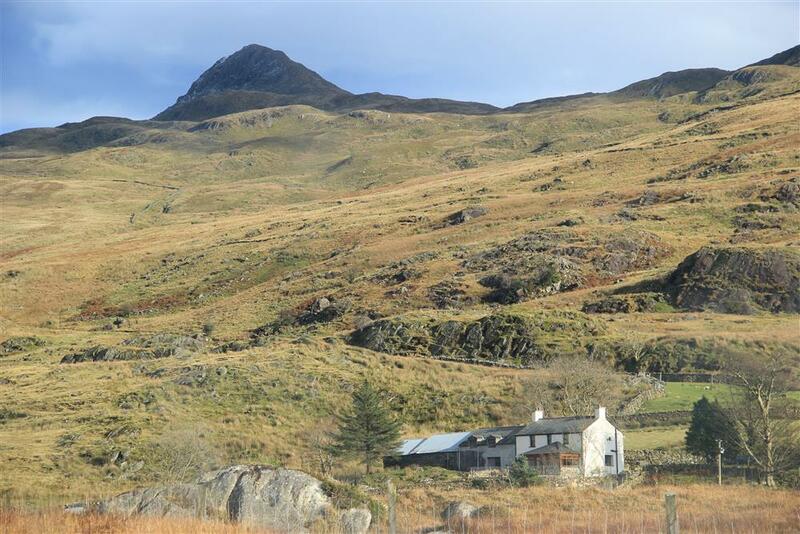 Mr M: "A really remote cottage set in the most scenic location, incredible views of the mountains, with easy access to many walks and scrambles. Warm and comfortable accommodation, modern and fully equipped. 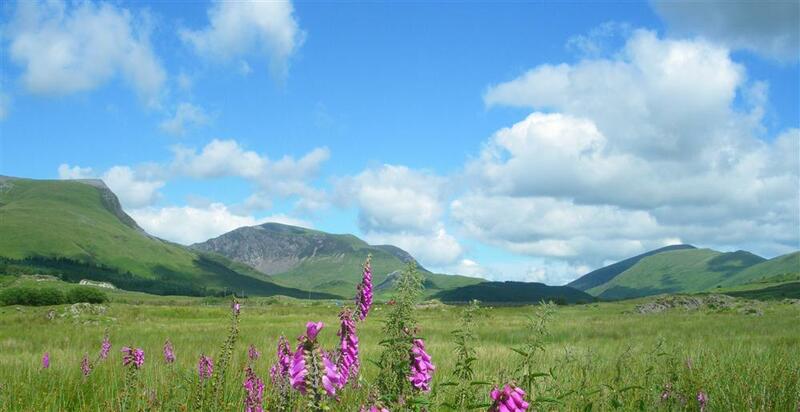 We are regular visitors to Snowdonia, our first time here, certainly won't be the last, we will return." 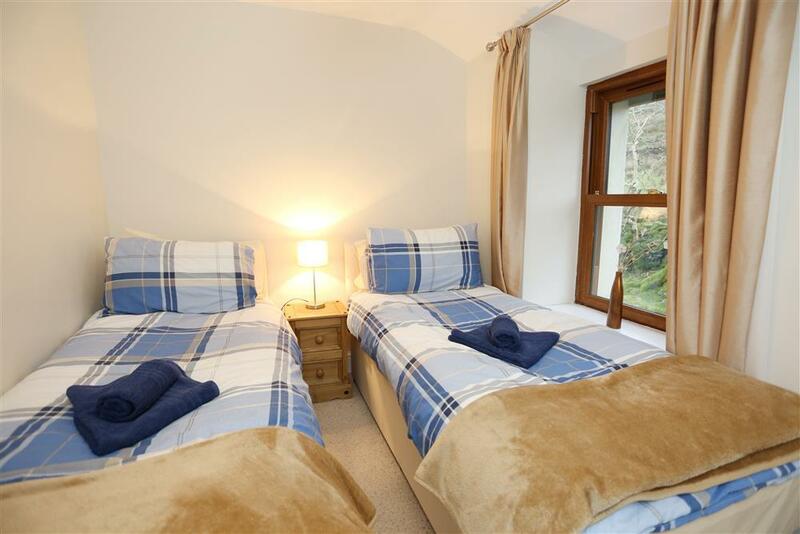 Mr & Mrs T: "The cottage is beautiful - so clean and comfortable with stunning views. Thanks for such a loevly place to stay"
Mr & Mrs M:"What a fantastic week! 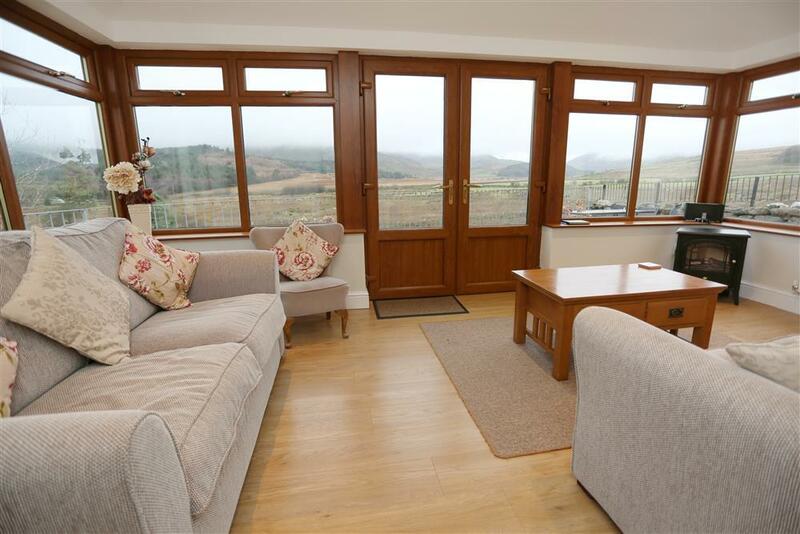 Stunning views and lovely comfortable farmhouse. Walked every day; Snowdon, Beddgelert etc. We will definately be back next year." Mr & Mrs J: "Thank you so much for creating a warm, comfortable haven in such an amazing place - surrounded by majestic mountains"
Mr & Mrs S: "We have had a wonderful stay! 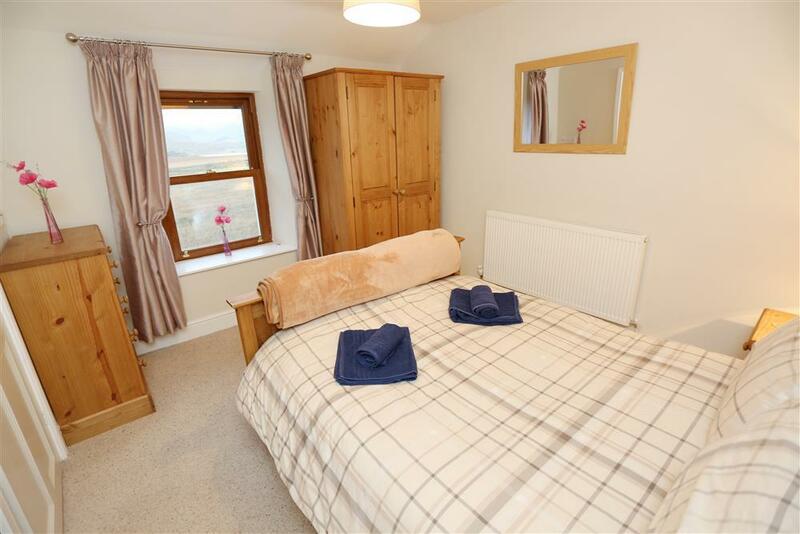 The cottage is lovely with warm perfect surroundings and views. Would highly recommend the Welsh Highland Railway from Caernarfon to Porthmadog, which runs in front of the cottage. Will look forward to coming back!" Mr & Mrs M: "We had a wonderful welcome. 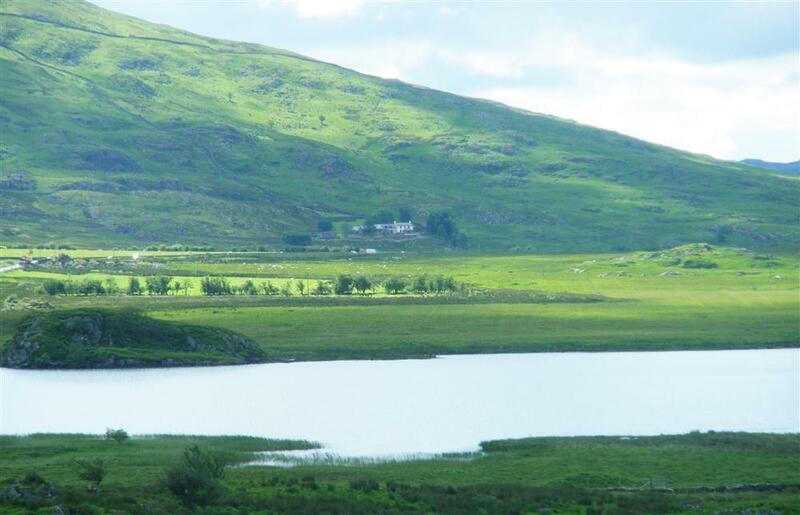 The Cottage is beautiful with fantastic views. Did lots of cycling and walking in the forests. Can't wait to come back"
Mr & Mrs S: "Fantastic Cottage. Spectacular panarama. Generally excellent weather. 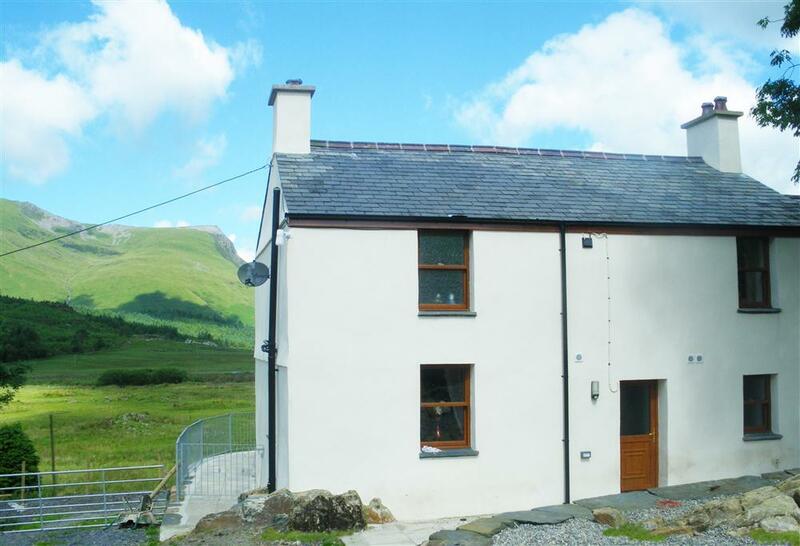 Can recommend the Welsh Highland Railway and the walk through the forest to the waterfall across the valley"
"A new property to the grading system, this attractive former farmhouse has been renovated to a high standard and provides guests with very comfortable accommodation. 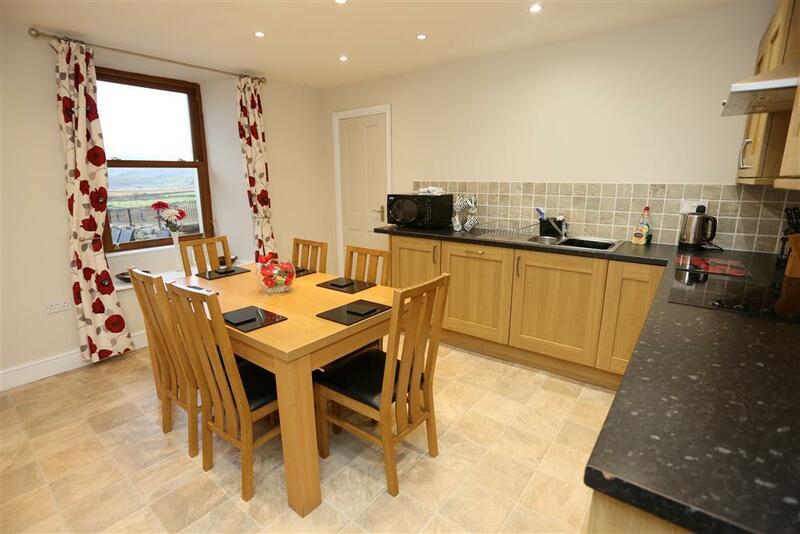 A modern kitchen diner well equipped, and with quality units and appliances. 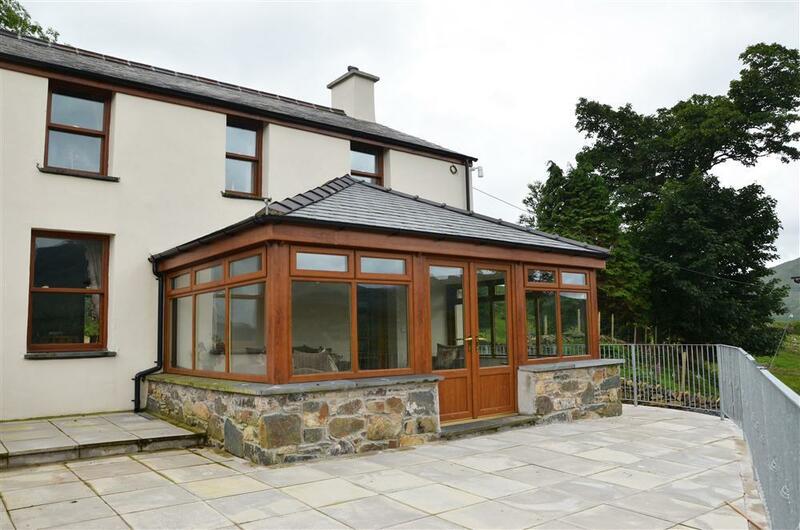 Cosy lounge and spacious conservatory with lovely views." Parking is within 10ft of the back door, the surface is made of crushed slate. There is no step, but only a small storm guard into the property. All doors are of standard 30 inch width. There is one step down into the conservatory from the lounge. There is a door from the conservatory to the front patio where there is a small step of 5 inches. 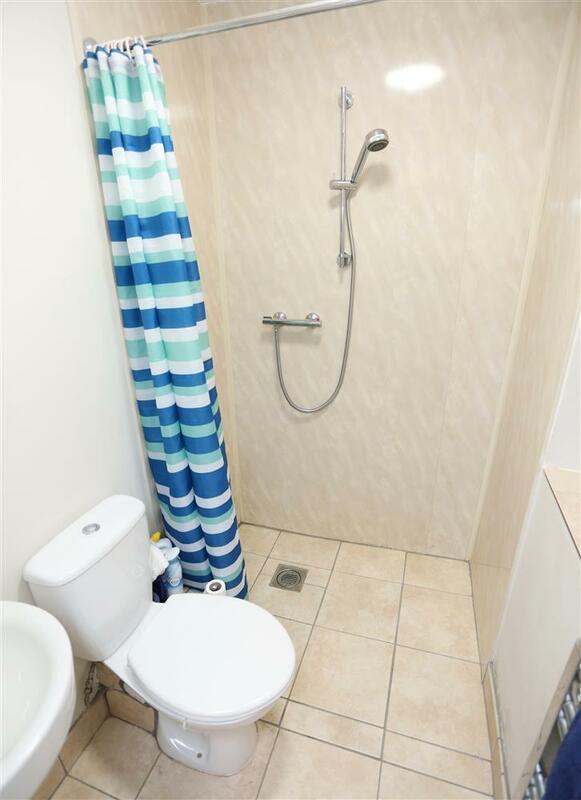 There is a shower room wc on the ground floor which is designed as a wet room so there is no restrictions to movement. All bedrooms are on the first floor which is accessed via 13 normal steps with a handrail on the left hand side as you ascend. There is a shower cubicle in the double bedroom and a shower over the bath in the bathroom.